VISAKHAPATNAM: Glenn Maxwell hit a crucial half-century as Australia edged out India by three wickets in a thrilling last-ball finish at the first Twenty20 international on Sunday. Pat Cummins hit a four and took two runs to complete a nervous 127-run chase after his fellow paceman Nathan Coulter-Nile restricted India to 126-7 in Visakhapatnam. Maxwell, who made 56, put together 84 runs with D´Arcy Short for the third wicket to put Australia on course before Jasprit Bumrah hit back with three wickets. 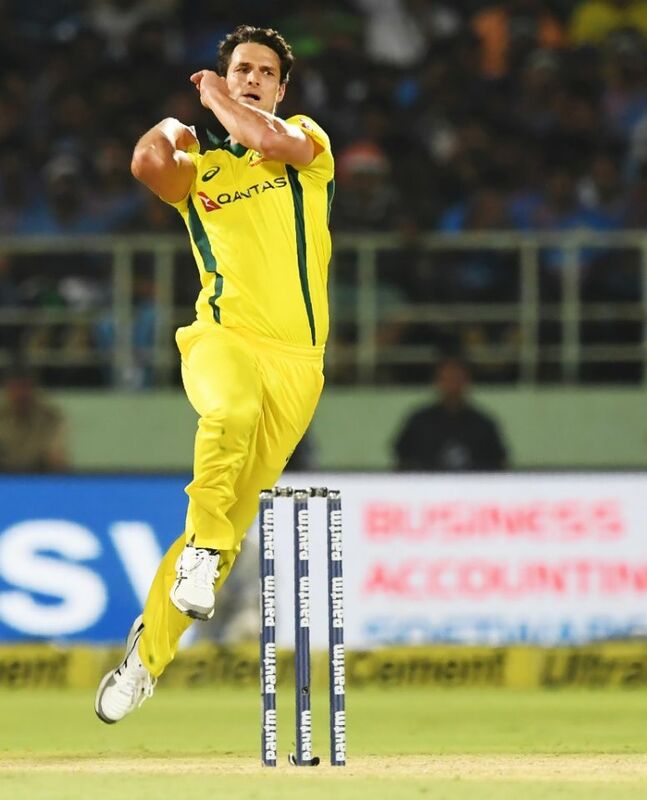 Bumrah got debutant Peter Handscomb caught behind for 13 and then bowled Coulter-Nile on the final ball of the 19th over to keep the game in balance. Jhye Richardson and Cummins — both not out on seven each — then kept their cool in the final six balls against Umesh Yadav to steer the Aussies home. “It´s a really strong position to be in,” Australia skipper Aaron Finch said after the win. “Nathan is a wicket-taker. He has been very consistent in the IPL (Indian Premier League) as well,” he added. The day belonged to Coulter-Nile who returned figures of 3-26 in his four overs, receiving the man of the match award. Indian batsman K.L. Rahul, who returned to the side after a suspension for sexist comments during a controversial TV chat show appearance with Hardik Pandya, hit 50 off 36 balls. His 55-run second wicket stand with skipper Virat Kohli, who made 24, gave India a brisk start but the hosts lost momentum after losing three quick wickets. Adam Zampa got Kohli´s prized scalp with his leg spin and Coulter-Nile claimed the wicket of Rahul to check India on a tricky pitch. Veteran wicketkeeper-batsman Mahendra Singh Dhoni made an unbeaten 29. “A low scoring game is always on the cards in T20 cricket,” said Kohli. “With the bowling effort we were pleased. Bumrah can do wonders with the ball when it is reversing and did exceptionally well to get us in the game,” he added. The build up to the match was dominated by talk of the domestic campaign calling on India to boycott its match against arch-rivals Pakistan in the upcoming 50-over World Cup, after dozens of Indian troops in occupied Kashmir were killed earlier this month in a suicide bomb attack. Kohli said ahead of the game that the team will stand by any decision taken by the government and the country´s cricket board in response to the attack. His side wore black armbands and both teams stood in silence at the start of the game for the men who lost their lives in the February 14 attack. The second match is in Bangalore on Wednesday.